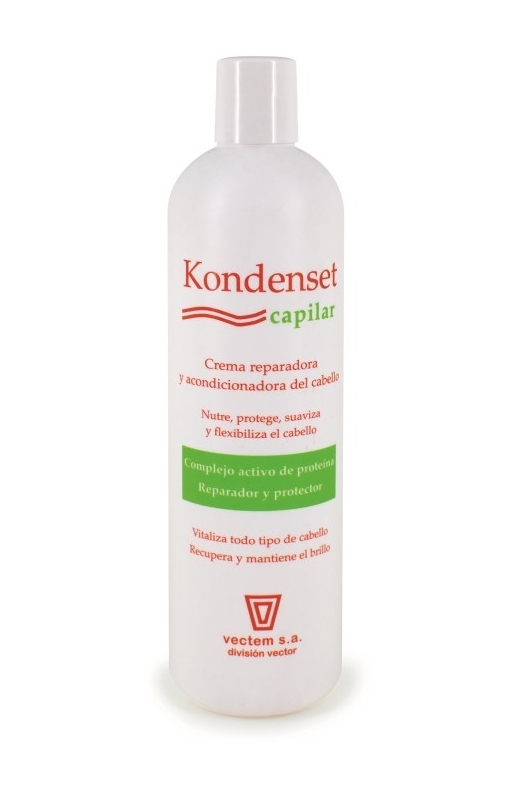 KONDENSET HAIR , vectem s.a.
Penetrates the damaged areas of the hair shaft, coating the cuticle and reconditioning the hair. Leaves hair supple, naturally glossy. 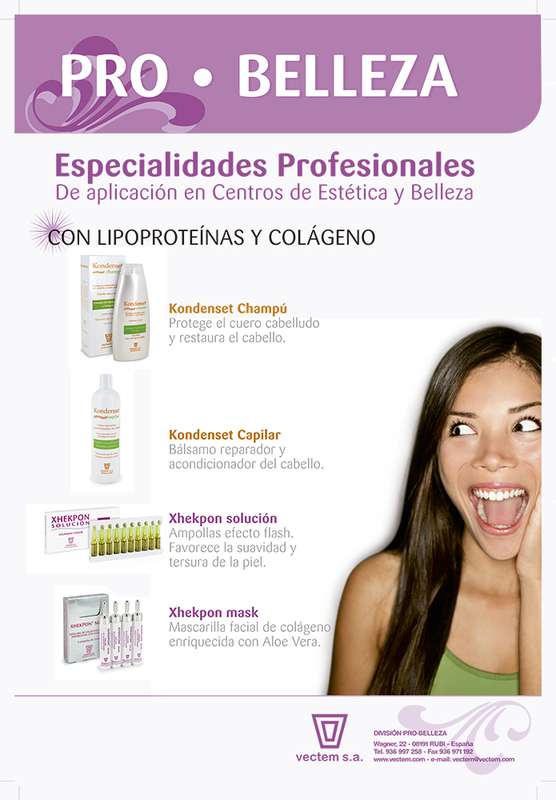 Fortifies the hair, making it more resistant to harsh treatments such as perming, colouring, excessive drying. Conditions hair, for easier grooming.